If you are into Nollywood movies, then you must have seen several movies acted by Mercy Aigbe. She has acted a lot of movies, most Yoruba movies and has won some great awards doing what she loves. This article is aimed at bringing to you relevant information about her apart from being the actress you see on your television screen. She was born as Mercy Aigbe on the 1st of January, 1978 (40 years old) in Edo State, Nigeria to the family of Pa Aigbe (her father) and Abisola Grace (her mother). She is the second child out of the five children of her parent. She had her primary and secondary school education at the Maryland Comprehensive School, located at Ikeja, Lagos State. After which she got admitted into the Polytechnic in Ibadan, Oyo state where she bagged an OND degree in Financial Studies, as if that was not enough, she also applied to a University to further her education and got admitted into the University of Lagos where she got a degree in theatre arts in the year 2001. 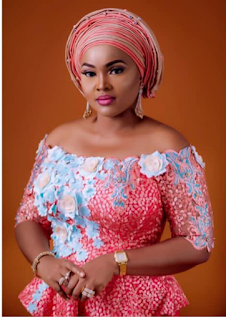 Before their divorce, the famous actress Mercy Aigbe was married to the Businessman (the owner of La Veronique Hotel, Lagos, Nigeria and also deals with the importation of cars into Nigeria), Lanre Gentry. Let us get to see who he is and how their love life started and ended. Mercy and Lanre got divorced due to an alleged violence accusation, but before their divorce, they had two children; Juwon Gentry and Michello Gentry. Their love life is a sweet one, it started with Mercy completely friend zoning Lanre. He met mercy when she was still a bank staff in Lagos, she was not responding positively at first to his numerous approaches; the reason being that she doesn’t want to keep boyfriends, what she wanted was a relationship that would lead to marriage in the nearest future. At the time he was ready for such commitment, she was already engaged to another man and he had no choice but to be just friends with her, after some time of her relationship she found out the man she wanted to marry (her fiancé) was already married to another woman with children, and which other shoulder was to cry on other than Lanre’s, and that was the beginning of the love story, but on the 29th of April this year (2018), it all ended as mercy and Lanre separated. Lanre Gentry was married to another woman before Mercy Aigbe, but the marriage went badly, so both of them went their separate ways but she already had three children for him. When listing the richest actresses in Nigeria, the name Mercy Aigbe cannot be excluded as she earns a lot from her acting career. Not only does she act, she also is a movie director, movie producer a model, a big time business woman/ entrepreneur, she is estimated to be worth about $600,000. In 2016, to celebrate her birthday, her ex husband, Lanre Gentry got her a brand new MDX Acura Jeep which costs about $45,000, she also has a red Toyota Corolla car which costs about N8 million. Recently she bought a beautiful customized mansion in Lagos, Nigeria worth about N200 million. Rumors had it that it was bought for her by a “sugar daddy” politician, also her acting colleagues had to call Lanre Gentry to ask if he was the source of her recent lavish lifestyle and he said he wasn’t. but mercy Aigbe came out to say the house was bought as a result of her hard work and not sponsored by anybody and claimed that she is just getting started. 2010: She won the best actress in a leading role for a Yoruba movie. 2014: she won the award of the best indigenous language. 2015: she won the award of the best actress in an indigenous movie, also the fashion entrepreneur of the year (Links & Glitz World Award). 2018: she won the award for best actress at the city people’s award.